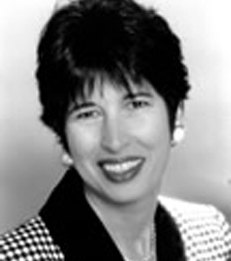 Dawn Lesh joined New York University Stern School of Business in 2004 as an Adjunct Professor of Marketing. She is a marketing executive with over 20 years of executive global management experience in a variety of industries including financial services, telecommunications and packaged goods. Throughout her career, she has led the development and execution of major initiatives in marketing which have included: strategy development and implementation; product and service development and deployment; service quality, assessment and redesign; and business competitor analysis. In 1997, Professor Lesh founded A. Dawn Lesh International, a management consulting practice providing expertise, broad educational capabilities, strategic marketing, business planning and implementation, and market research. In 1990, she joined J.P.Morgan, as Managing Director responsible for identifying and analyzing worldwide markets for products and services. This included rationalizing, coordinating and managing all market research and marketing activities. From 1986-1990, she was Vice President with the New York Stock Exchange, serving as the head of Strategic Planning and Marketing Research. For the previous twelve years, Professor Lesh successfully established and managed consumer, business-to-business and professional services market research within the global financial services industry for Bank of America and Wells Fargo Bank. Professor Lesh is co-author of an award-winning article, "How to Make Research Actionable." She is a frequent speaker and is active in the American Marketing Association, the Advertising Foundation and the Financial Women's Association. She is currently on the Editorial Review Board of the Journal of Advertising Research. Professor Lesh holds a B.A. in Rhetoric from the University of California, Davis, and an M.A. in Communications Research from California State University, Sacramento. She has completed executive education programs at MIT and facilitator training at Synectics Institute.